Experience true comfort living at Indigo Place, where singular design and unparalleled value meet. Just off the I-15 freeway, this new D.R. Horton community surrounded by idyllic vistas presents endless possibilities – all within reach. Sip award-winning wines at the local wine resorts. Take in a breathtaking view of lush vineyards from a hot air balloon. Enjoy world-class shopping in Old Town Temecula. It’s a serene destination for others, but a place that you can call home. Indigo Place is comprised of Detached Condominium homes. A community pool is now open! 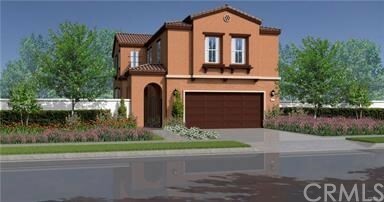 This 4 bed 3 bath home features a great room open concept lower level and a downstairs bed and bath! Includes white raised panel cabinets, stainless appliances, and upgraded luxury vinyl plank flooring package.